One of the more anticipated films at this year’s SXSW Film Festival was the world premiere of Alex Gibney’s latest documentary Steve Jobs: Man in the Machine. When I heard about this film premiering at the festival and that Gibney was directing it, with his previous credits including brilliant documentaries about Enron, Jack Abramoff, Lance Armstrong, and the Church of Scientology, that this wasn’t going to be a glowing portrait of Steve Jobs, the late co-founder of Apple. With Gibney’s track record and this knowledge, I was very excited to see this film, and I was able to catch the first screening of the film (a second screening will be at the Paramount Theater on Wednesday afternoon). This is a movie that nearly 24 hours after premiering has stirred lots of controversy and discussion on who Steve Jobs really was as a person. Here’s my review. As promised, Man in the Machine is a documentary that chronicles how a kid from San Francisco who was put up for adoption, ended up being one of the most powerful and influential figures in modern history, with his death in 2011 being unprecedented for a man who was a CEO of a big and powerful company. 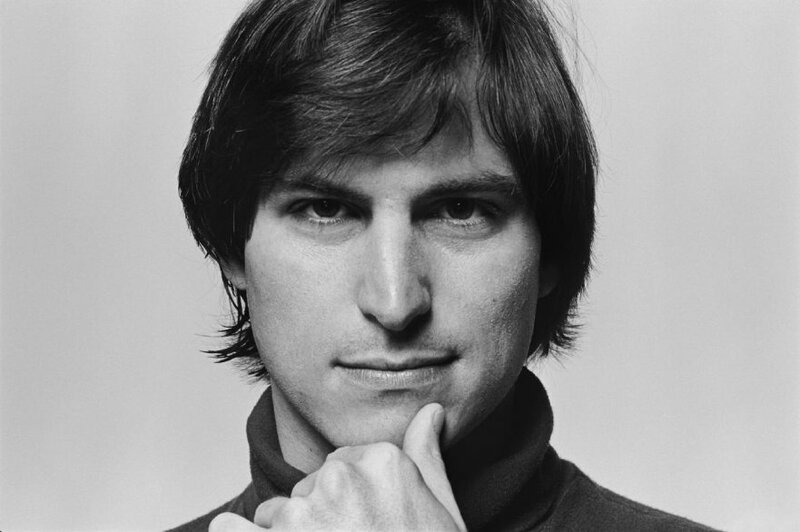 From interviews of people who knew Jobs and worked with him, we follow him as he begins his little upstart called Apple in that Silicon Valley garage with dreams of taking on IBM, to arguably becoming his own worst enemy several years later. It also chronicles the invention of the personal computer which Jobs named Lisa (which is also not as sweet as it may seem), how Jobs re-invented Apple when he returned in the late 90s, and of course, when Jobs introduced the world to the iPod and the iPhone. There’s no denying how Jobs has impacted our lives. Most of us on this planet use the Apple products that he introduced the world to in those famous keynotes (I’m writing this review right now on an Apple product). But what Alex Gibney does best in his films is expose and tell the world about what really goes on behind the scenes with many of the figures and subjects that he’s tackled in his films, and the claims that Gibney makes and presents are scary and what may be a fairly accurate portrait of a man genius who wanted to take down the giant that was IBM, but ended up becoming a giant like IBM. Steve Jobs: Man in the Machine is Alex Gibney at his finest, with the two-hour runtime may test the patience of some, but for the people who love documentaries of this style and Gibney’s work, this is right up your alley. Gibney never spoke with Jobs or anyone who works for Apple in the film (primarily because, as Gibney phrased it when asking Apple if they wanted to be interviewed for the film, “didn’t have the amount of resources to present for this film”), but he does interview former employees, old friends, and Chrisann Brennen, Jobs’ high school girlfriend who was the mother of their daughter Lisa, who tells the reason that the daughter was named Lisa was because he was naming his Apple Computer Lisa, which Jobs told people for years that it was the other way around. Gibney then also tackles a lot of the major controversy’s that surrounded Jobs in the years before his death, with the suicide nets being installed in the Apple manufacturing plants in China, to when the prototype for the iPhone 4 went missing, and the extent that Jobs went in order to make sure it fell back into the right hands. As with every documentary there is always a bias with the subject, but with Gibney’s portrait of Jobs in this film, and judging by the people who knew him best in the 70’s and 80’s, he was a genius who helped shape the technological world that we now live in, but he could be a cruel and manipulative man in order to do such a thing. There is almost too much information to process at once from this film, because Gibney is able to cover a lot of ground from Jobs’ life, from his work and personal life, to his spirituality, and how he tried to become a Monk way back when. I almost don’t want to dive into the claims too much because there is a lot of fascinating information that’s presented in this film. Since this is the world premiere, I don’t know what the status is of distribution/release of the film (CNN Films is involved with it, so expect to see it out around the time when Steve Jobs, the film by Danny Boyle, hits theaters this fall). But when it is released, I highly recommend you go and check out this entertaining and brilliant documentary about one of the most fascinating and complex individuals of our time directed by one of the most fascinating documentary filmmakers of our time. Man in the Machine may anger the masses who celebrate Jobs as a messiah-esque figure, but for the people who aren’t exactly in that ballpark, this is a film that is definitely worth checking out, and is by far a highlight of the SXSW Film Festival, which is only in its third day as I write this. March 15, 2015 in 2015 Film Reviews, 2015 SXSW Reviews, Film Fest Coverage, Movie Reviews.